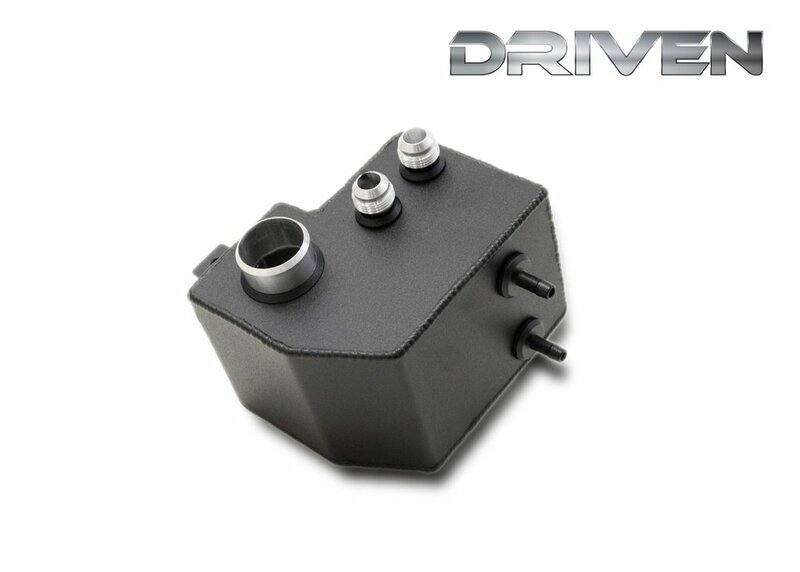 The Driven Fabrication catch can is constructed of high quality aluminum, using CNC machined 6061 fittings and a laser cut body. 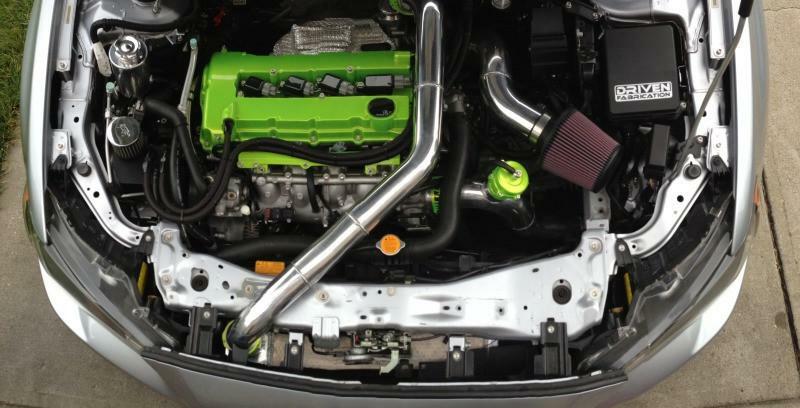 These cans get rid of the ugly plastic coolant overflow can, and replace it with this unit. 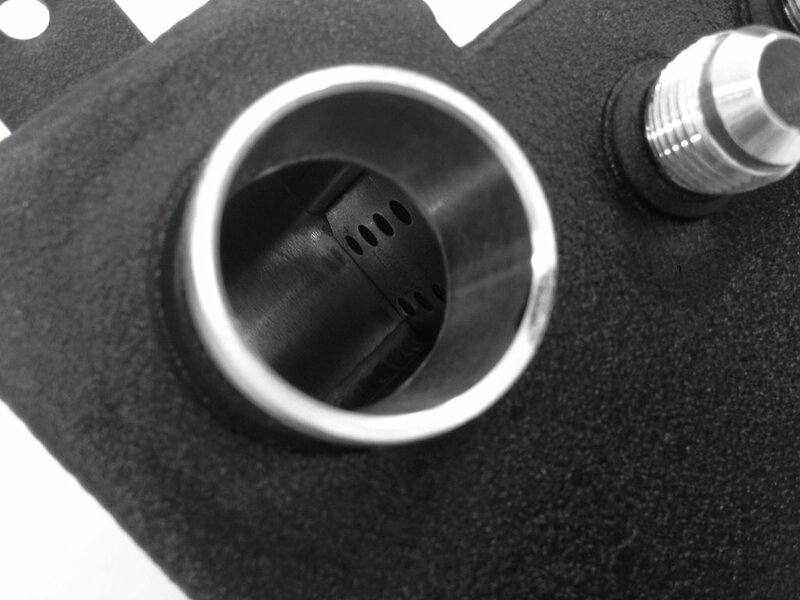 The catch can features three different types of baffling, and has a built in coolant overflow reservoir. 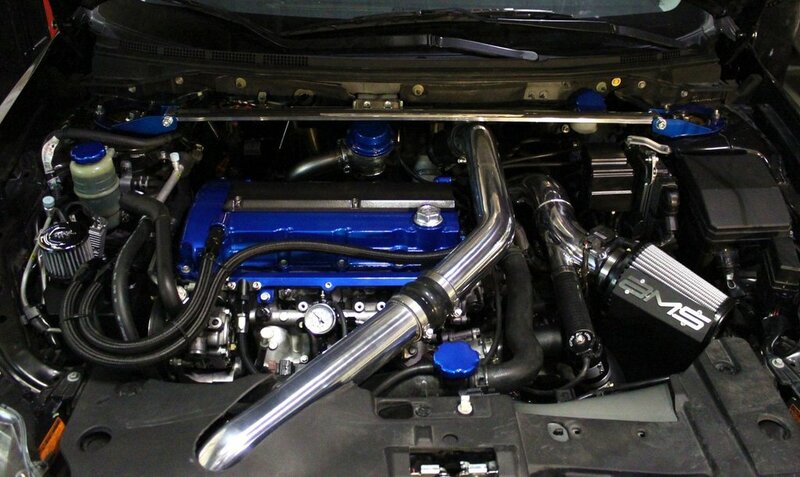 The can includes everything you need to install, including silicon plugs for intake manifold and air intake. 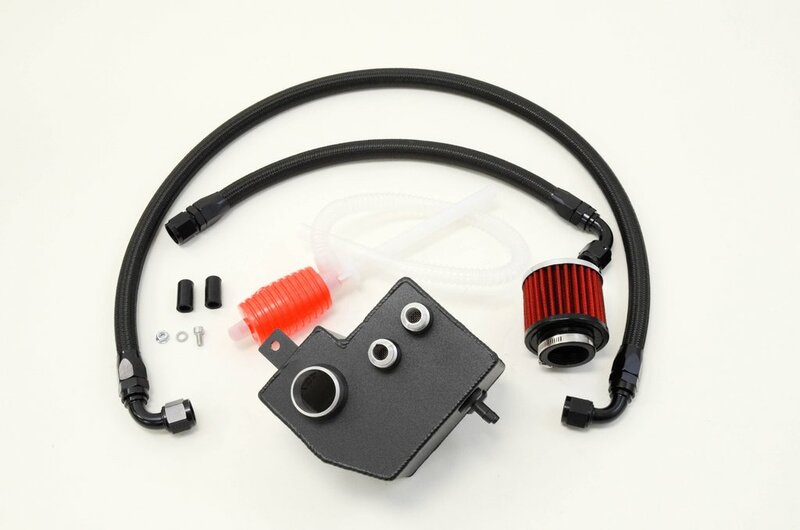 This kit is guaranteed to increase horsepower by removing the nasty oil vapors from the intake tract, as well as relieving additional crankcase pressure from the engine. 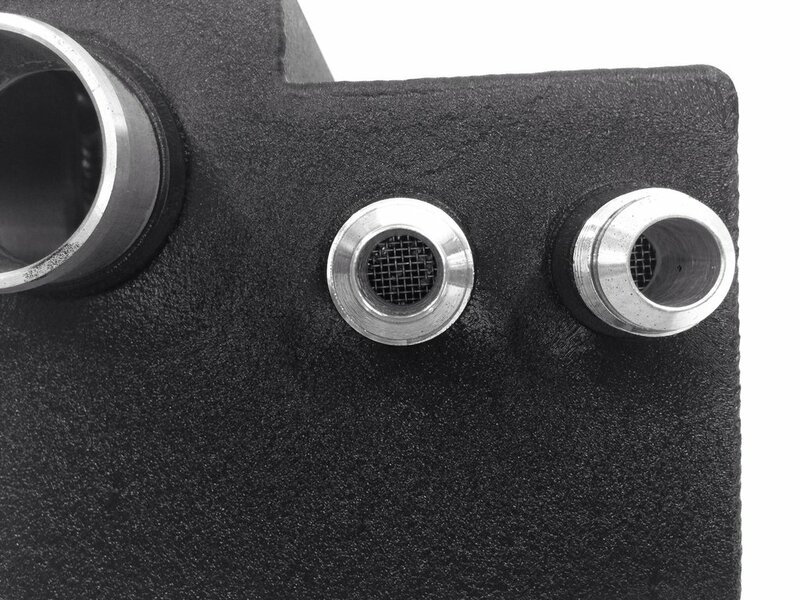 The catch cans are available in the standard textured black finish, and come with adapter kits for every type of valve cover. 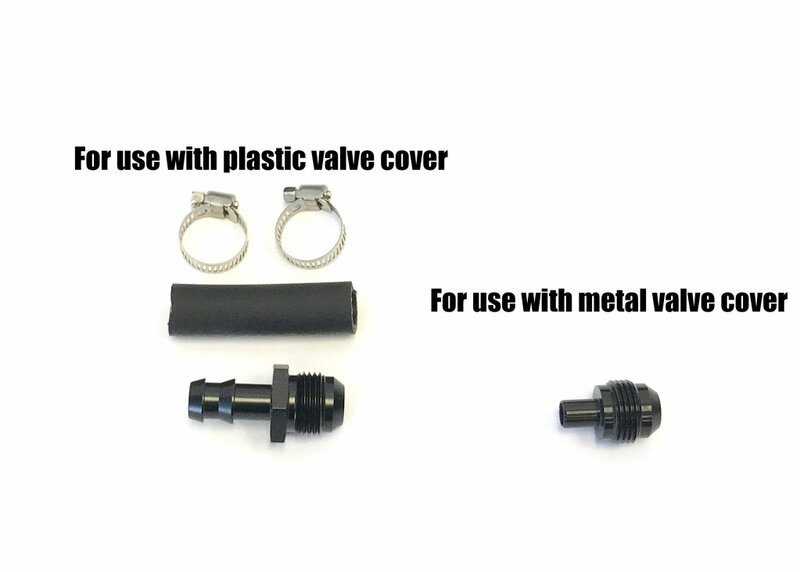 CNC Machined 6061 Fittings Precision Bent 2 Piece Body e85 resistant nylon Braided Lines and Fittings 10an PCV Delete Valve Cover Fitting Press in valve cover fitting (for use with metal valve cover) Plastic valve cover adapter (for use with plastic valve cover) Silicon Vacuum Plugs - Will not crack and dry out over time K&N Breather Filter Durable black powder coated finish Direct Replacement Detailed Instructions Internally Baffled Divided Coolant Reservoir Hand Pump Included For Easy Draining Made in 'Merica Each catch can kit now comes standard with 10an size, and includes fitting packages for both the metal and palstic valve cover.